Use the following link to connect to the center. You should have got your affiliate code in an email when signing up for the program. Please contact us if you cannot find it. If you can’t remember you password, use the “Forgot your password?” link on the page listed above. This is the area where you will find the link to advertise Top Stock Picks products. All the links listed there will create cookies in the browser of the user who clicks it. This way the sales will be linked to you once they purchase. You can also create Ads. Ads are very useful to track the performance of you links. This way you can understand which ad converts the best. 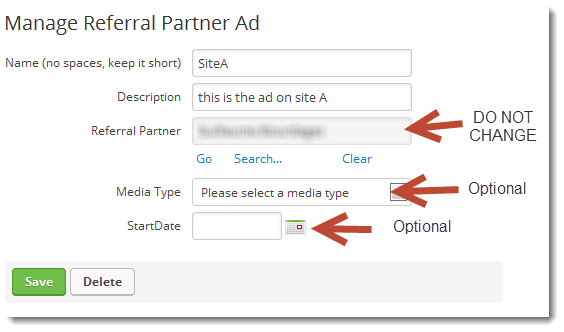 Let’s say you are advertising on Site A and on Site B, then you should create an Ad called Site A and an Ad called Site B. This will allow you to track the performance of each site. This will create a link for this specific Ad in order to track the performance of the Ad. These are prebuilt email template which you can email to your leads and try converting to sales. 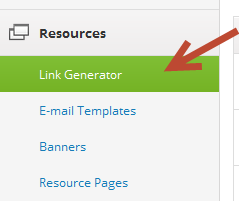 Simply choose the link that will be included in the email and click Generate Email on the desired template. 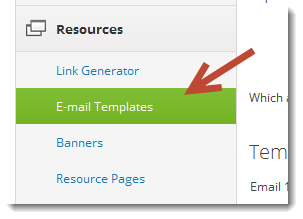 This will bring a popup, simply copy and past the content in your email program. 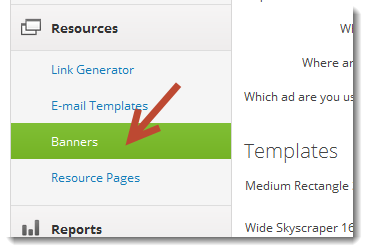 Banners are images which can be use to advertise on you site, there is currently 3 format. Simply Click Generate banners to see the code and format of each. Copy the code and paste it in you HTML file on you site. This section is not currently used. This is where you will see all you commissions earned, clawbacks and payments done. Clawbacks will only occur if a user as already paid and request a refund immediately regarding billing issues. You can generate a report based on date range. This is just a simpler view of the Ledger report. Click Date: first time the link was clicked. Name of the product your sold using your links.